In the prison system, every staff member is considered a prison guard first. It doesn’t matter whether the individual works as a secretary, a receptionist, a nurse, or any other position. If the individual works for the prison system, that individual has an obligation to work toward preserving the security of the institution. 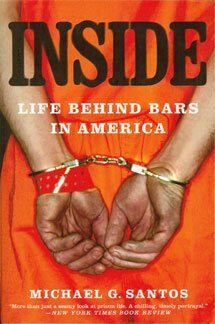 When I began serving my sentence, in 1987, very few women worked as guards inside the penitentiary. Since then, prisons have changed their employment practices. Women work not only as secretaries and receptionists, but also as prison guards, lieutenants, captains, and even wardens. In fact, recently, the director of the entire federal prison system was a woman. Women work inside the penitentiary in every capacity. They spend entire shifts in the midst of hardened felons. Administrators do not seem to take any special precautionary steps to protect female staff members from the volatility that can erupt inside prison environments. By working in the prison, all staff members accept the dangers that come with the assignment. During the years that I have served, I have never known a female staff member to have been targeted for attack or any particular danger. There have been numerous incidents that I have known where female staff members are corrupted into inappropriate relationships with prisoners, though I have never known of a female staff member to suffer any dangers. Female staff members have no less access to male prisoners than their male colleagues. Some female staff members supervise cadres of more than 20 inmate workers. Other female staff members work one-on-one with a male prisoner in a relatively secluded environment for more than a few hours; they have total autonomy to move through the prison just as males. Staff members frequently carry transmitting radios that come equipped with panic buttons. Should they feel threatened, they may sound the alarm by pushing a button at their side, and scores of their fellow officers will rush to the area where the staff member is assigned. Recently, administrators have installed surveillance cameras that record the happenings at various spots around the institution. There are other control techniques to maintain security within the prison, yet during the more than 21 years that I have served, I have not noticed any particular attention made to protect female staff members more than their male counterparts. Everyone who staffs a prison is considered a professional, and the staff members support each other equally.